Tying the knot is one of the monumental decisions of your life and this goes without saying that you want to look your best on the day when you exchange the vows. For that you need to be in shape, carry the perfect dress that accentuates your figure, flaunt a glowing and beautiful skin and last but not the least, get a gorgeous hairdo. Here we are going to concentrate on the last thing. You may be fortunate to pick the right hairstylist who just gets the right look and style for you and whom you trust completely. But to get exactly what you need takes a lot of research and a bit more work. 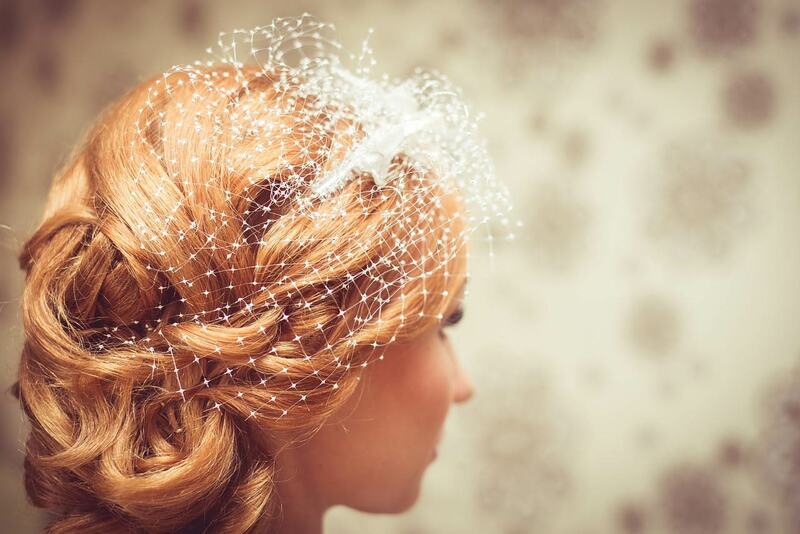 So here are some tips that will help you achieve the near-perfect wedding hairstyle for your big day. Just read on. Remember that you have toiled hard to get the perfect wedding gown and so make sure that your hair does not compete with it. Instead you should go for a hairstyle that complements it and so you must keep in mind your dress at the time of discussing with your hairstylist. So if you have opted for an extravagant gown a subtle up do is sufficient but if your preference is a simpler wedding dress then a dramatic hairstyle is what is required. Remember that all hairstyles do not suit every type of hair. Your hair volume or length may not go with the hair style that you have just come across on Pinterest or a fashion magazine. But you don’t need to lose your sleep over it. You can still achieve the look that you desire with hair extensions. Weather happens to be a vital consideration. If the wedding occurs in a cold climate then cascading or curly hairdo will look grand. But in a humid and hot climate, if you choose this style then the hair may get frizzy and stick to the back. Under such circumstance, a more put together hair style will look fantastic. The last hairstyle prior to the wedding should be just tiding up the style so that it looks as healthy as possible. It can be tempting to go for a big change prior to the big day but the results may be too overwhelming. The same goes for the hair colour. You must not opt for drastic hair colour change before the special day. Not only will this make you feel less confident but also you will stick with the photos for the rest of your life. So if you are thinking of going for a change you should do it at least three months in advance. This will give you time and help you to be comfortable in your skin and also grow the hair if you do not like the style. After discussing it with your stylist, if you have decided on a particular hairstyle, you must go for a trial run. The significance of going for a trial should be underestimated. It is true that you may run against time during this phase but the trial run can show if the hairdo works on the big day or not. The above are recommended by the reputed company of event production that has extensive experience in organising a number dream weddings as well as other very successful events for its clients over the years.